Fresno County Sheriff Margaret Mims, however, stated in May during a roundtable discussion with President Donald Trump that she opposes California’s sanctuary laws and has allowed ICE agents access to the Fresno County Jail. 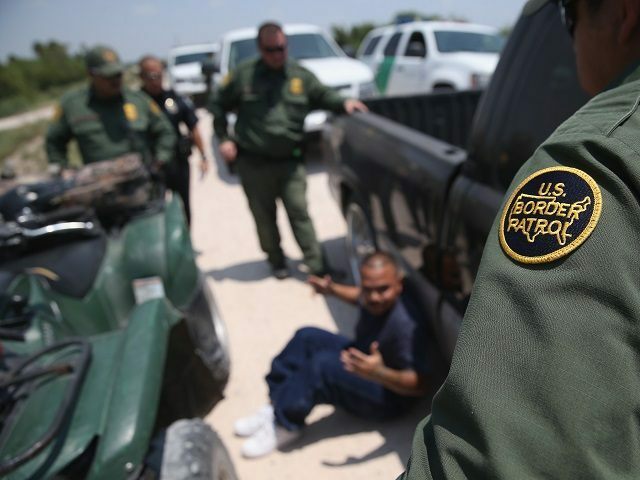 This latest case of an illegal alien allegedly claiming to be part of a family to exploit loopholes within the country’s immigration laws comes as the U.S. debates over whether illegal migrant families should be separated when they are apprehended at the border. Trump implemented a “zero-tolerance policy” directing officials to criminally prosecute all illegal migrants who entered the U.S. illegally. The policy resulted in illegal alien adults who crossed the border with children to be separated — federal officials detained the adults and the Department of Health and Human Services (HHS) took custody of the children and housed them in shelters. President Trump signed an executive order keeping illegal migrant adults and children detained together until federal immigration officials deport them, but U.S. District Judge Dana M. Sabraw ordered the Trump administration to reunite the roughly 2,500 migrant parents separated from their children by July 26. HHS challenged Judge Sabraw’s July 26 deadline to reunite the migrant children separated at the border with the adults who brought them over, claiming the unification deadline posed a problem because it did not allow proper time to verify the adults’ claims of parental guardianship. The California judge, however, announced that the Trump administration must not only reunite the migrant parents already separated by law enforcement but also find deported migrant parents who separated themselves from their children in the U.S.
Judge Sabraw announced Friday that he would appoint a federal official to assist lawyers with the American Civil Liberties Union (ACLU) who are counseling the deported migrants on how to meet their children in the U.S.